Hollis Johnson/Business InsiderInspire Brands CEO Paul Brown is asking Buffalo Wild Wings franchisees for their help in turning around the brand. Inspire Brands CEO Paul Brown is tasked with turning around the restaurant chain Buffalo Wild Wings, using the same tactics he deployed at Arby’s. This includes meeting with franchisees from around the country and asking them for their suggestions and pain points. His main objective is building trust with his employees and franchisees to create long-term value. 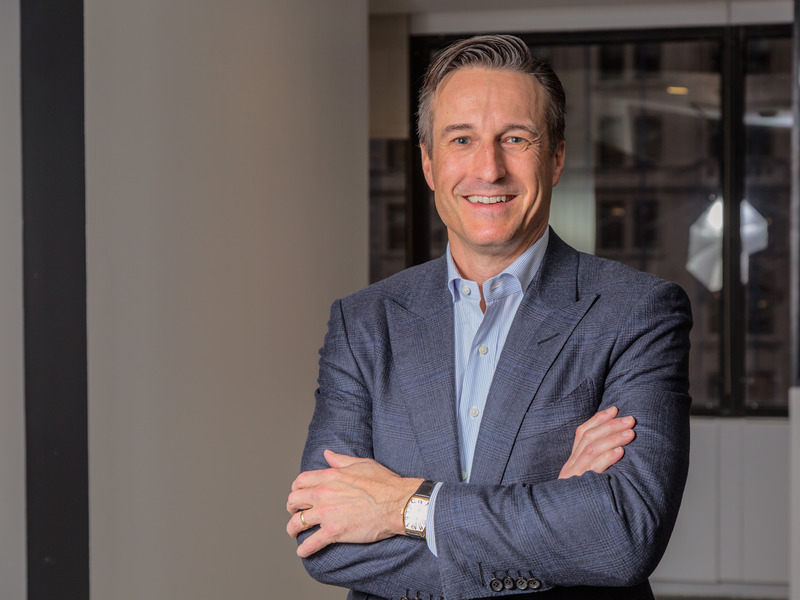 Paul Brown so effectively revitalized Arby’s since taking over as CEO in 2013 that the fast-food brand’s parent company has placed him at the helm of a new holding company dedicated to replicating that success. The new company, Inspire Brands, was formed around Arby’s and the acquisition of Buffalo Wild Wings, along with small regional brand R Taco. Business Insider recently spoke with Brown about his new role, and he explained that he’ll be re-applying the processes he learned at Arby’s to Buffalo Wild Wings. Chief among them: asking employees around the country what they would do if they were in charge. In 2013, Brown became the Arby’s CEO as an outsider. Private equity firm Roark Capital hired Brown for his work at the hotel group Hilton Worldwide, and he knew that he had to work hard to earn his employees’ and franchisees’ trust, especially after a wave of changes to the executive team that left them unconvinced he would even last. Brown explained to Business Insider last year that he decided to use his position as an outsider to his advantage and learn from the frontlines. He embarked on “listening tour,” travelling the United States and asking franchisees what they would do in his position. For his first three months on the job, he said, he spent more than half his time outside of Arby’s headquarters and spoke to around 1,000 employees. 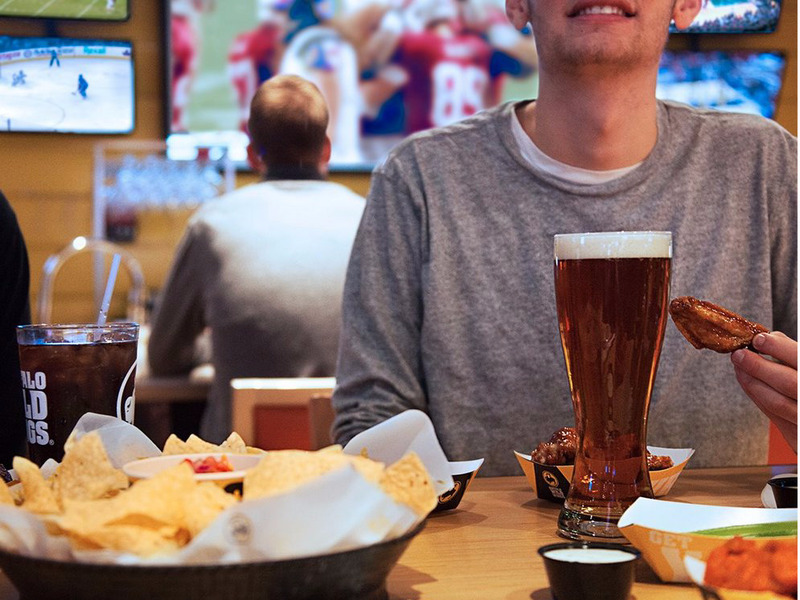 Buffalo Wild Wings on FacebookBrown will begin his turnaround by meeting with Buffalo Wild Wings franchisees. Even back at the office, he spent his first several meetings with the leadership team mostly silent, taking copious notes. He said that the approach revealed to him insights about Arby’s supply chain and advertising campaigns that he never would have seen had he come in behaving as if he had all the answers. As the head of Inspire, Brown has less time to be in the field than he had back in 2013, but he’s still using this first phase of transforming Buffalo Wild Wings to listen to his workforce. He’s already met with the 12 biggest franchisees in the US, and is hosting a summit of all the franchisees and operations teams in March. He’s begun considering ideas these franchisees have raised, around issues like food and order flows and seating arrangements. Brown said that he recognises that when he’s making decisions that affect Buffalo Wild Wings franchisees, he’s dealing with people who have invested in the long term with these businesses, and often pass them on to their children. Because Inspire is private, he and his team will be able to make changes without rushing them, he said, allowing them to establish relationships with these franchisees. “We’ve made it clear that we look at this like a long-term investment – we’re not in and out, and we also appreciate the fact that it’s a trust thing,” he said.